Spring into Spring for a Beautiful Yard all Year! 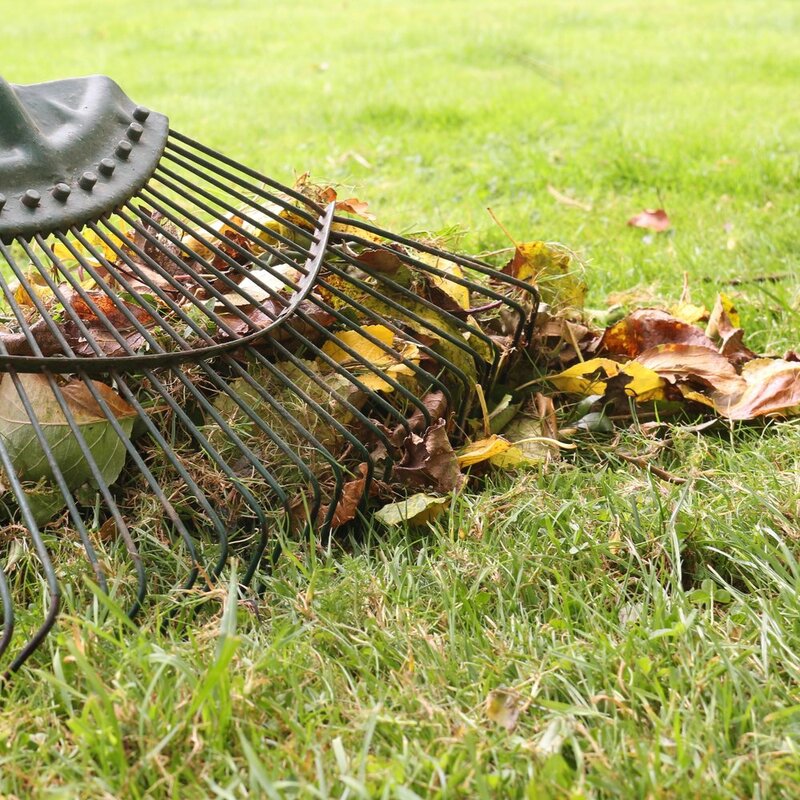 Rake up leaves and debris (but wait until the ground is dry to avoid making the ground uneven). If you live in the south or southwest, increase absorption and percolation by treating your soil with exiGrow to liberate the hardened mineral salts. If you have more acidic soil, consider traditional core aeration. Get them before they get you. Prevent weeds by applying a pre-emergent herbicide (you’ll want to reapply in about 3 months). Apply slow-release fertilizers every 6-8 weeks beginning in late spring when the soil temperature is above 55°. Consider 20-5-10 (20% nitrogen, 5% phosphate, 10% potassium), but check with your local garden center for the proper mix for your area and grass type. Check with your local garden center for the best seed to fill in those bare areas. Hard rake the area to loosen the soil, evenly spread the seed, cover with hay to prevent wind or creatures disturbing the seeds and new sprouts, and water daily for at least a week. Just a bit off the top. Give your lawn a trim — but only the top 1/3. Follow these steps as you enter spring to create a healthy, green lawn you can enjoy the rest of the year. 5 Tips to Make Doing Laundry Easier and More Fun! 1. Connect, really connect with family and friends. Hey, instead of squeezing in fast calls or texts, take the time to actually chat with someone you like a lot for the full washer cycle. And then pick your second favorite person and do the same during the dryer cycle. Turn laundry time into quality friend time! 2. Listen to your favorite music. You may want to create your “laundry playlist” that turns the chore of doing laundry into an upbeat experience. Let’s face it, listening to your favorite music is one of the best ways to pump up your mood and spirit no matter what you’re doing! 3. Netflix and ... laundry. If you’ve got a lot of laundry to do, you could actually watch a big chunk of Orange is the New Black. What’s better than a Sunday in your yogawear watching Netflix … and doing laundry? 4. Let loose your creativity. A simple laundry routine can be so peaceful. So use that uncluttered time to let your mind wander, and some amazing ideas may be born. Just make sure to jot them down so you don’t forget them later! 5. Exercise. Take the time between cycles and loads to get in your workout—run the stairs, do crunches—before you know it, the clothes you’re washing won’t fit anymore ... and not because they shrunk! How do you make doing laundry more fun? Enjoy! Why are softeners so bad for your laundry, especially your activewear? Who doesn't love laundry to come out of the dryer smelling Spring fresh and soft as a baby bunny? This must mean everything is clean, right? Unfortunately, ordinary laundry detergents and softeners make matters worse. These traditional laundry products add a coating of fragrance and softening agents to the fabrics that clog the threads and trap the odor-causing bacteria. Chemical softeners are designed to affect the clothing by making the threads "stand up" and feel softer. The fabric may feel softer but it comes at the expense of losing UV protection and anti bacterial capabilities. The industry calls this a “sour wash” because of the acidic additives. The acids soften the water but are dangerous to people, pets, and the environment. Instead of modifying the fabric, truSheet uses vitamin B-12 to naturally soften your clothes by removing from the water the harmful iron and other minerals. This also changes the ionic charge of the water, which controls static. Since the sheet maintains an even stronger ionic charge, it continues to control static as you transfer it to the dryer with your laundry.